Two Traveloholics & A Camera! 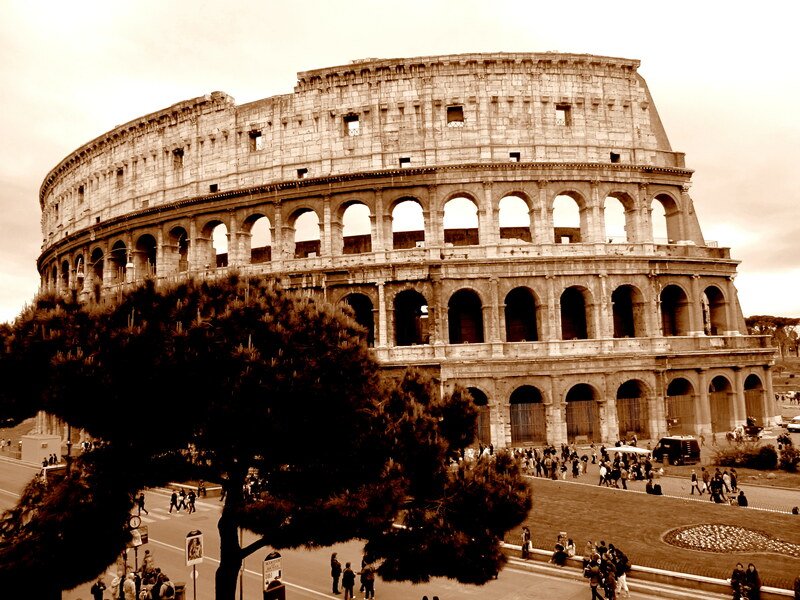 Rome is one of the most historically significant cities in the world. Every nook and corner of Rome has a story to tell. Start with the Colosseum. Soon as you reach the premise, tour agents will hound you to join their tour group. They will provide a guide and also help you avoid the ticket queue. In peak tourist seasons, it might be better to take this tour as you will end up saving hours of waiting time. Also, there is so much of history in Rome that a guide(or atleast an audio guide) is a good idea. After having experienced the grandeur of Colosseum, head to the Palantine hill which held the seat of the Emperors of Rome. Walking through the hill, you pass by the ruins of the palaces, ancient governmental buildings, the Roman Forum etc. The expanse and grandeur of the Roman Empire is still embellished in these ruins. In the evening, head towards the Trevi Fountain. This is one of the most beautiful fountains in the world. 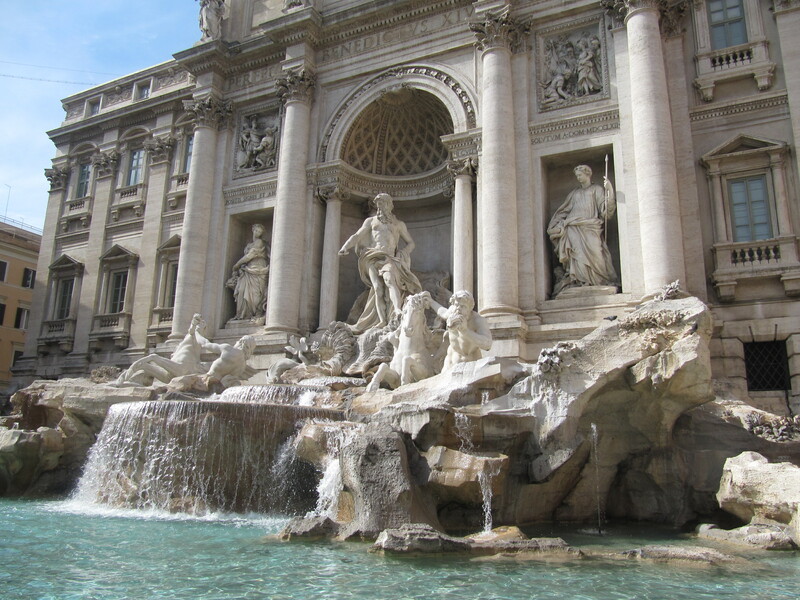 It is also said that if you drop a coin in this fountain, then you will be back in Rome soon. I make sure to drop a coin every time I am in Rome, and since, I keep going back, there must be some truth to it. From Trevi, you can walk to the Spanish Steps. Spend some time sitting on the steps and enjoying the aura of Rome. 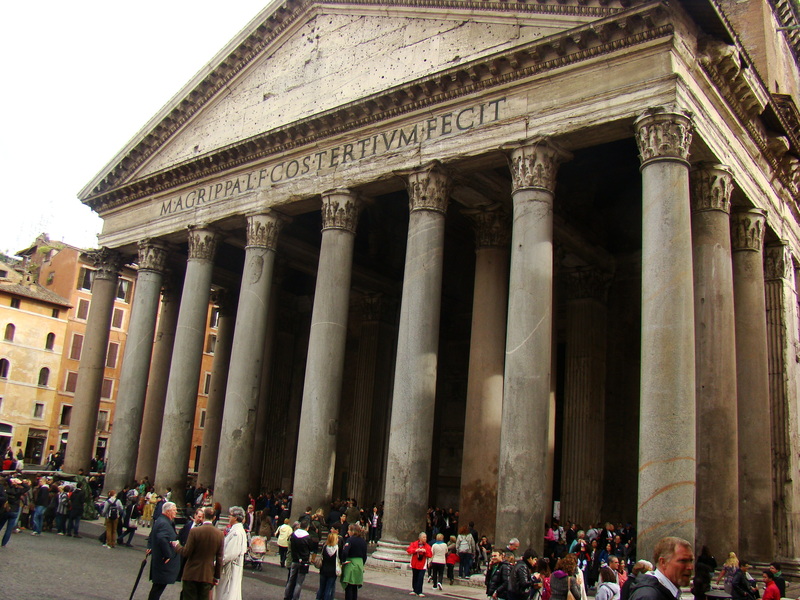 Pantheon, one of the best preserved buildings of Ancient Rome, was built as a temple to the Roman Gods. 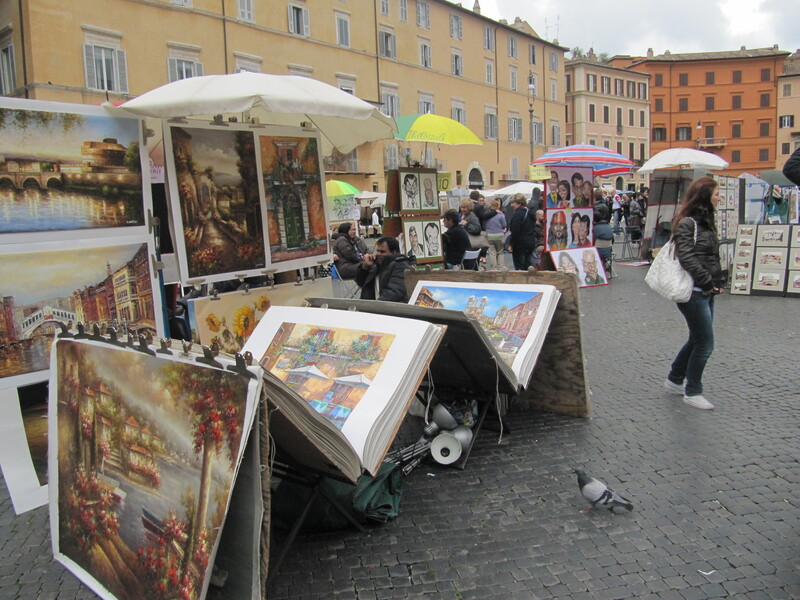 Rome has a number of piazzas(squares) where you can spend your evenings enjoying a drink, tasting Italian delicacies, watching street shows or checking wonderful art for sale. The most beautiful of all the squares is Piazza Navona. At the centre of this square, stands the famous sculpture Fontana dei Quattro Fiumi or Fountain of the Four Rivers, crafted by Bernini (remember the fountain from the movie Angels & Demons). Getting There: Most of the airlines fly into Rome. The low-cost ones fly into Rome Ciampiano airport from where you can take a bus to the city centre. 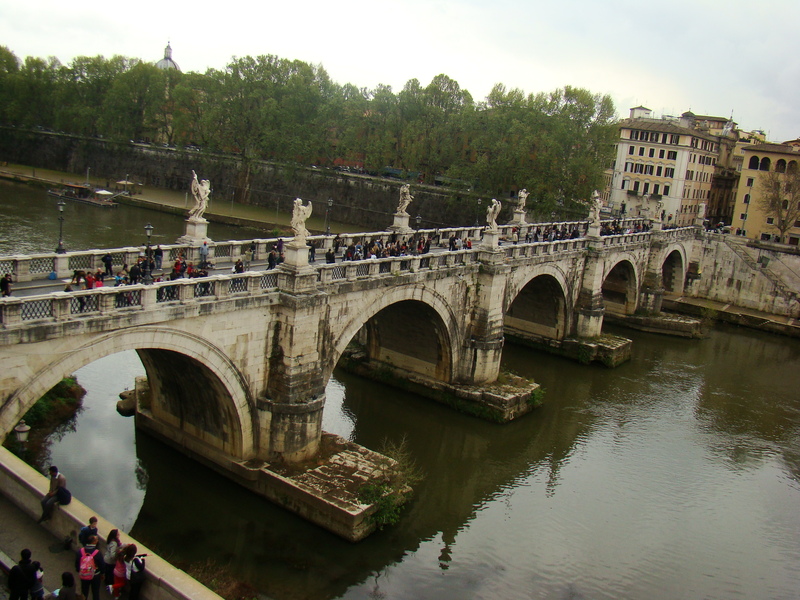 Rome is a large city but if you stay close to the city centre then you can walk around most of the areas. For those who are not too fond of the walk, the metro system is very well connected with all the historic spots. For all the food-lovers planning a trip to Rome, do watch this space for our post on Italian gastronomy. Island Tales: From Santorini with Love! ← Island Tales: From Santorini with Love! Swapna & Rajat love travelling far and wide, equipped with a camera. We have travelled to over 38 countries capturing memories. We live in Amsterdam and travel every chance we get. This blog is a reflection of our journey!